The matcha craze is more than just a trend. In fact, matcha has been around for more than 155 years now. It originated from Uji Kyoto, Japan, famous for their quality tea and matcha, and where Tsujiri was founded by Tsuji Riemon. Being the naturally inventive beings that we are, we’ve gradually mixed and matched the ever famous matcha with Western desserts, and thus, our favorite treats were born. Pro tip: bitter is not better! Only low-grade matcha has a strong, bitter taste. 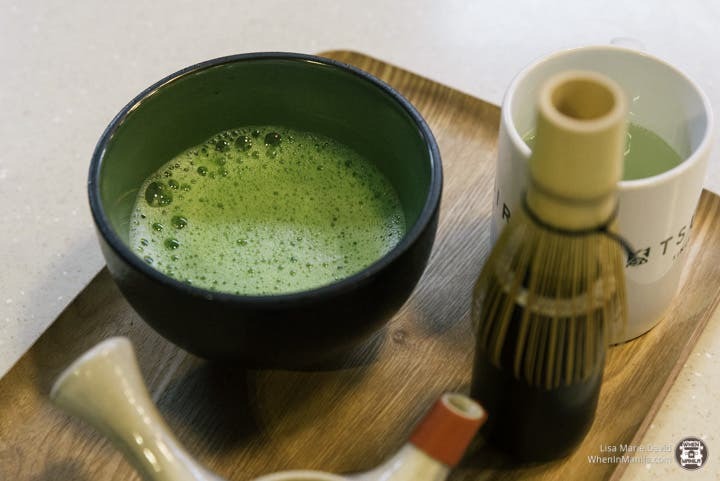 Tsujiri uses high-grade or ceremony grade matcha, produced only from the topmost leaves of the shade-grown tea plant, which ensures freshness and a less bitter, more umami taste. 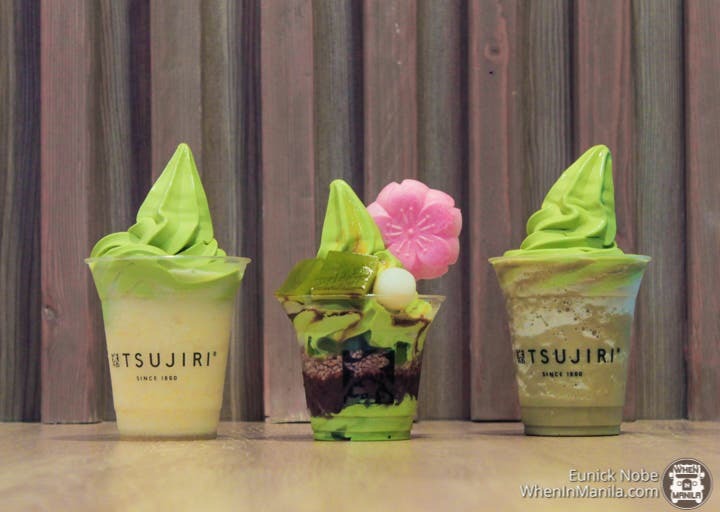 Tsujiri boasts of using Uji Matcha in all of its drinks and delicacies. Its ingredients are exported all the way from Japan — quality-checked and regulated — guaranteeing that authentic matcha experience minus the traveling. But that’s not all! Below are six more reasons why we love Tsujiri’s products. 6. They don’t just sell matcha. “Matcha” is actually a type of green tea and an umbrella term for several more types. Tsujiri offers all of these variants — sencha, genmaicha, houjicha — in their products, so take your pick and see what you like best! 5. It’s a haven for matcha lovers! Speaking of high quality matcha, Tsujiri, as a store, is all about matcha. More than half of their menu items has matcha in it – from their ice cream to their cakes and even their beverages. If you’re like us who crave matcha 24/7, we bet you’ll find something you’ll love at Tsujiri. 4. Non-matcha lovers are welcome here, as well. 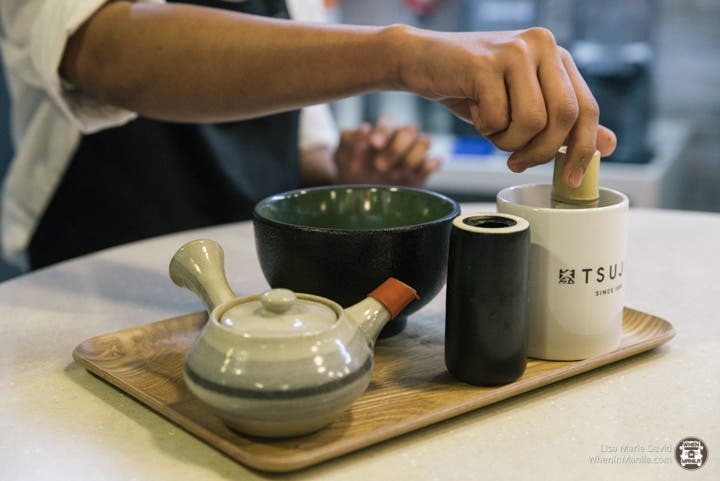 If you’re not a matcha enthusiast, don’t fret because Tsujiri has got a couple of non-matcha and entry-level matcha desserts that are designed to convert you to matcha lovers after the first bite – if you allow yourself to give in to its goodness, that is! If you’re one of the few who won’t be easily swayed to join the matcha cult, though, that’s alright because all of their sundaes and floats give you the option to get vanilla ice cream as an alternative instead. Shiratama dessert perfect for sharing! 3. Their cakes are to die for! If there’s anything unique to look forward to at Tsujiri, it’s their cakes! The brand has serious quality control over their products, but the cakes get to be a little more creative. 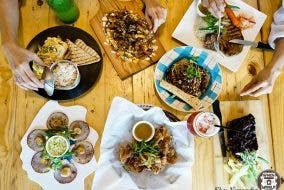 Every country uniquely infuses cake flavors on the menu that consider the local palate. In the Philippines, Tsujiri has recently regularized their purple yam cake after their patrons kept looking for the originally Christmas special dessert. The purple yam cake was only supposed to be available during the holidays, but its appearance on their menu was prolonged because families — young and old — kept requesting for it! 2. They offer a mix of tasty and healthy. Since all of their ingredients are guaranteed to be fresh, they pack all of the nutrients matcha can give! The tea plant is grown under shade three weeks before harvest to boost amino acids and chlorophylll production in tea leaves. These tea leaves called tencha will then be harvested and ground down to produce matcha. The amino acids give matcha that distinct umami flavor and the chlorophyll created the vivid green color which doubles as a detoxifying agent. Did you know that matcha, unlike other types of green tea, isn’t put in boiling water. Boiling water causes nutrients to be left out. That’s why matcha is prepared differently to preserve all of its nutrients. 1. Their interiors complete the whole experience. True to the consistency of the brand, the design of every store receives approval all the way from Japan. Japanese aesthetics are simple, clean, and create a comfy ambiance. Every branch is made sure to adhere to the brand’s standards and philosophy. 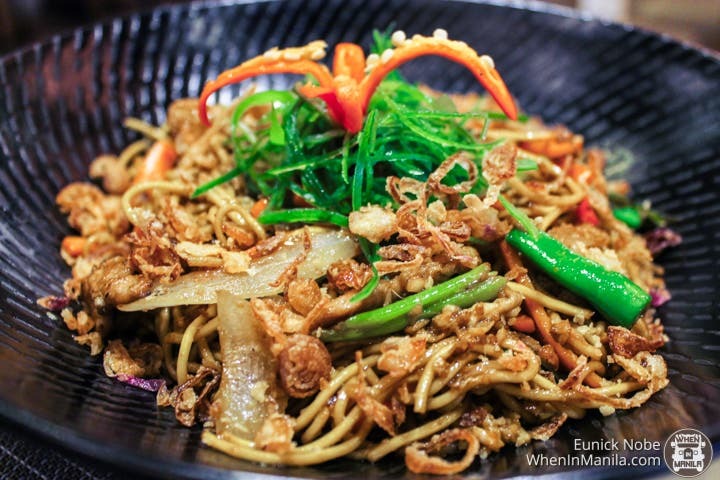 No wonder Japanese customers in the Philippines feel right at home whenever they go to Tsujiri! We’re sure you’ll love it, too! 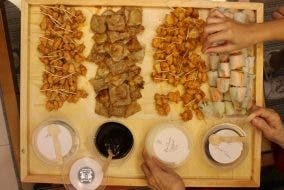 Tray Bien PH: The Food Tray Delivery Service That’s Simply Muy Bien!